Calcium Magnesium Acetate (CMA) deicer is granulated calcium magnesium acetate, formulated from dolomitic lime and acetic acid. CMA ice melt is a low corrosion environmental alternative to road salt and is approved by the U.S. Federal Highway Administration. Accepted for commercial and roadway application since the 1970’s. CMA ice melt is used worldwide because it is more environmentally friendly than plain rock salt as well as much less corrosive to concrete. Calcium Magnesium Acetate is manufactured by Cryotech who uses their patented “Unipel technology” to get the product into little spherical balls. Why care about the little balls? 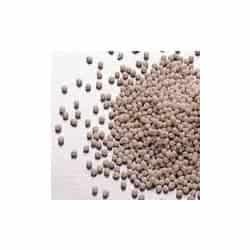 The little pellets minimize dust, reduce compaction in storage and results in even spread patterns. The Unipel technology and the unique composition of Calcium Magnesium Acetate increases product stability for long-term bulk storage so if you properly store the product, it will not go bad. Cryotech has a long history of making great deicers and after more than 25 years, Cryotech has become the US leader in deicers for runways and airplanes. We can guarantee you this is a high quality CMA. 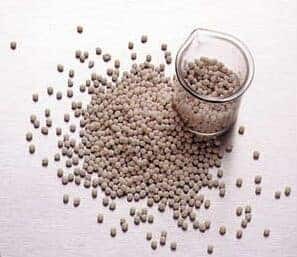 You can mix the CMA pellets with water for wet application, which is ideal for pre-treating, otherwise it is best to spread the pellets after precipitation has begun. For those who like the deicing power of CMA, but would like to have a more economical version, Cryotech also has a 40% blend as well. Do you like to blend your own? CMA ice melt can be blended with rock salt in as low as a 20/80 mix. Please note we recommend these mixes in areas that are more tolerant to the corrosive effects of rock salt and only pure CMA should be used when there are concerns of concrete spalling. Are you in need of a Calcium Magnesium Acetate Supplier? We can provide you with all the CMA ice melt you need no matter how big your order, just give us a call. Calcium Magnesium Acetate (CMA) is safe for the environment – it does not contain urea, chloride, or nitrogen and has minimal impact on storm water discharges. Calcium Magnesium Acetate may also be called CMA deicer, CMA Salt, or CMA Ice Melt. CMA interferes with the ability of snow particles to adhere to each other or to the surface. It does not create a brine like rock salt, but keeps the snow lighter and drier improving traction. If applied early in the storm, CMA prevents the formation of snow pack and the bonding of ice to the pavement surface, so snow and ice can be removed more easily. Because CMA does not produce a running brine, it does not move off the surface like other deicers. Therefore, fewer applications are needed during a storm and from storm to storm. Experience has shown that surfaces treated with CMA often exhibit anti-icing properties during subsequent periods of freezing moisture. Calcium Magnesium Acetate (CMA) is best used as a deicer, spread on the pavement after precipitation starts. Effective to the same temperatures as road salt – about 15°F, CMA has many unique performance characteristics. CMA can be used to offset the corrosive effects of chlorides while enhancing deicing performance when blended with road salt at rates greater than 20% CMA by weight.